After some much needed break from blogging, yours truly has some finds that she would like to share with you. 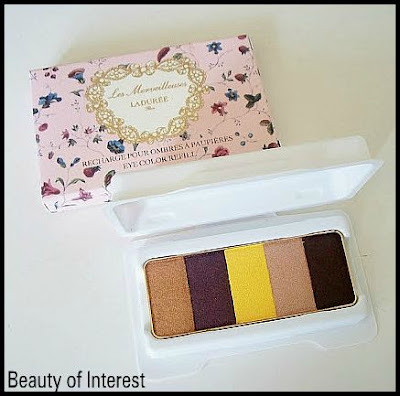 Although Laduree cosmetics has had some attention in the blogosphere, I find their eyeshadow palettes don't get the attention they deserve. I managed to get my hands on one of the palette which is just labelled #05. This time I only opted for the refill and didn't purchase the packaging as I'm personally not a big fan of the plastic white and gold case. Other reason being that this way it's much easier for me to put it in an empty palette or to take with me for travelling. What caught my eye about this particular palette is the combination of the yellow and the purple shade along with some interesting neutral colours. 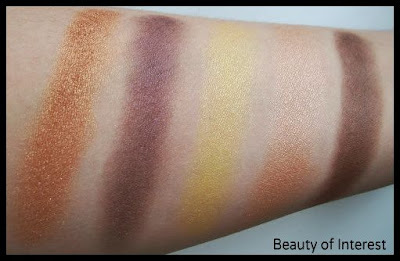 For me this palette is quite versitale in terms of different eye looks you can create with it. 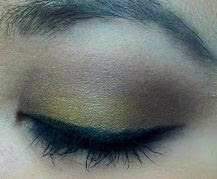 The gorgeous purple shade can be used for a smokey night look with the pop of yellow for some colour while the brown/beige shades can be used for a minimal daytime look. The texture was surprisinly very smooth, almost buttery but not powdery and very very pigmented. I hardly had to swirl with my brush to get some product so very little is needed. It wore pretty well during the day but at the end of the day I did see some fading but nothing dramatic or noticable. Here are some swatches I took of the palette for some indication of the colours. 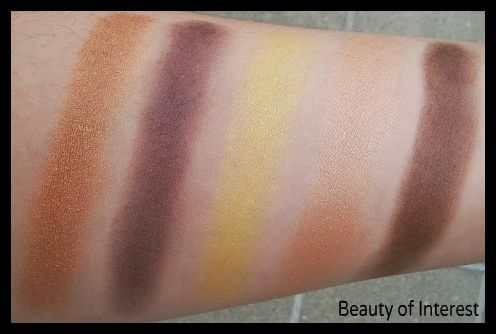 Notice that the purple shade has a hint of brown in it that makes it more complex than it looks in the pan, isn't it just gorgeous? I tried to incorporate most of the colours from the palette in 1 look and here is the result. 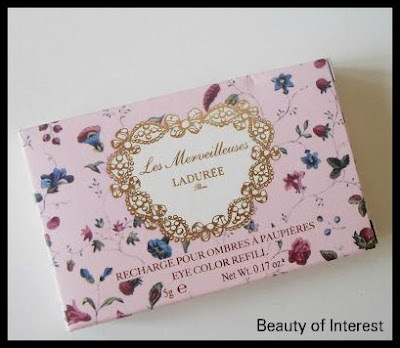 The Laduree Eye Color palette cost 4200 Yen just for the refill (the additional case cost another 1575 Yen) and can be found at the Laduree stores in Japan or at sites like Ichibankao if you are willing to pay the marked up prices.